The Best Pet Grooming Spa! Call us at (360) 392-8465! 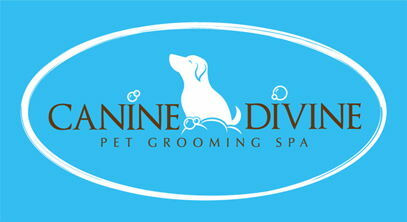 At Canine Divine Pet Grooming Spa, we treat your pets like the valued family members they are! We strive to provide complete care for our pets! "I took our large, blonde Goldendoodle in on June 6, 2017, for a full cut, wash, nail cut, etc. and she turned out beautifully for a fair price. I'm taking her in again to see the girls next week so she's pretty for Thanksgiving. I definitely recommend them!" "Oliver and I love Tammy and her crew. They take such good care of him and he loves to go hang out with them. He comes home looking handsome and I don't have a hairy mess at my house. I love the walk-in express wash for when Oliver takes a swim in the bay and tries to bring all that sand home. I park in front of the shop, let Oliver take his beach romp and then straight into 'the spa' and I get one happy clean puppy." "I have had the hardest time finding someone to take their time with my sweet little girl. Thank you so much to canine divine for not giving up on Miley! Denice showed me her love for dogs by working with my little one while she was scared and hesitant the whole time grooming. She didn't give up and even had us stay with our fur baby to help her gain Denise's trust through the process. We will be back. I wouldn't go anywhere else. Thank you for all the TLC you gave Miley!!"